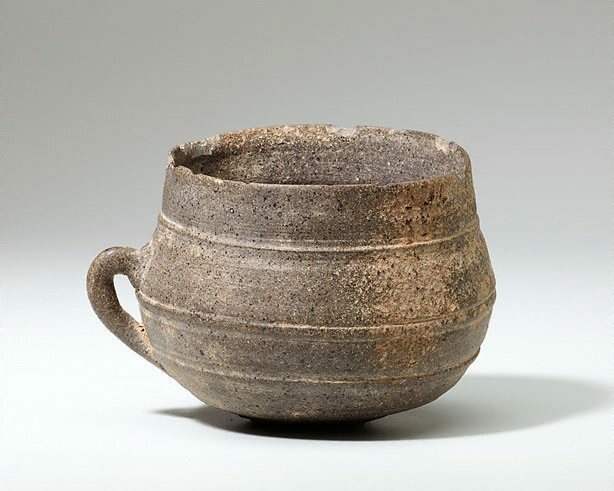 Deposited in large quantities in tombs along with armour, agricultural implements and ceremonial jewellery, Silla ceramics survive in significant numbers. Tomb ceramics range from large storage jars and ceremonial vessels for fertility and harvest rites, to household pieces such as these. The use of impressed and incised decoration into a grey body is characteristic of Silla decoration.